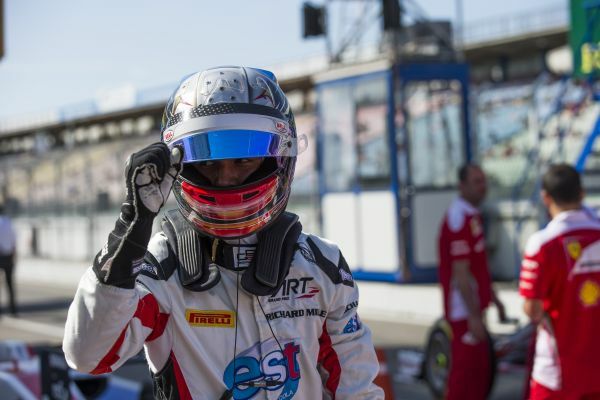 Thai rookie Alexander Albon extended his GP3 Series lead by pocketing the four bonus points on offer for pole position. 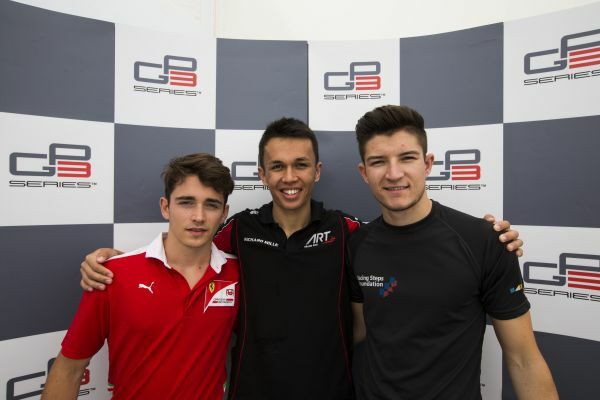 The ART Grand Prix ace clocked a best laptime of 1:28.431 which was 0.078s ahead of his teammate and title rival Charles Leclerc. Arden International’s Jake Dennis achieved his best qualifying result of his debut season with third. Glorious conditions greeted the paddock at the Hockenheimring ahead of the thirty minute qualifying session for Round 5 of the 2016 season. DAMS and Haas F1 Team development driver Santino Ferrucci was first to lap under the 1m30’s mark before Scuderia Ferrari Team development driver Leclerc lapped half a second quicker to go top. 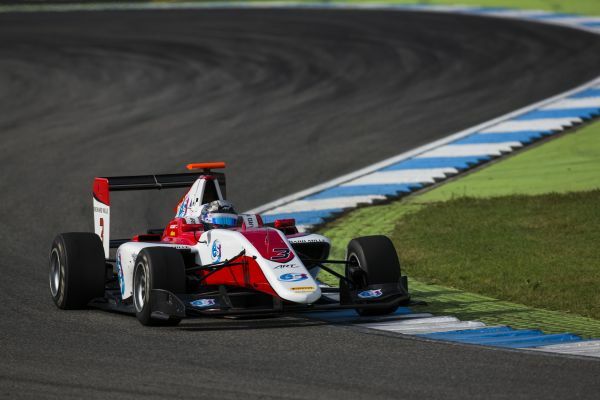 Albon bettered his teammate’s time by 0.063s to take P1 with Jack Aitken second in the early stages. Koiranen GP’s Ralph Boschung was also on a flier and lapped a mere 0.004s slower than the Thai to go P2. With most drivers returning to the pitlane for new Pirelli rubber, the track was almost clear which Matthew Parry took full advantage of. The Briton posted the fastest lap, to take provisional pole, 0.035s ahead of Albon at the midway point. Campos Racing’s Steijn Schothorst flew to the top of the timesheet and was first to set a laptime in the 1m28’s before Dennis and then Albon lapped quicker to demote the Dutchman to third. Leclerc was outside of the top ten and on one of his last runs; he ran wide and had a small trip through the gravel but was able to continue. With a few minutes remaining Albon led the pack over Dennis and De Vries but the Monegasque driver found some more pace to rise up the order to grab second position in the dying moments. At the chequered flag, Albon held on to take his second pole of the campaign ahead of his fierce rival Leclerc. Dennis, De Vries, Antonio Fuoco, Parry, Nirei Fukuzumi, Alex Palou, Schothorst and Aitken completed the top ten. Race 1 takes place today at 17.15 (GMT+2) as the close fight in the title battle continues.,.